In late May, word surfaced that Apple would be providing subsidies to workers at its Taiwanese manufacturing partner Foxconn. The subsidies were reported to be in the range of 1-2% of profits from the Apple products being produced and were part of a larger effort to address low morale and increasing public scrutiny over employee suicides at the company's mammoth manufacturing complex in Longhua, China. A brief report today from DigiTimes cites comments from a Foxconn executive made in the Chinese-language National Business Daily denying those reports. The executive said the rumor is purely speculation and Foxconn has never received any subsidies from Apple, the report said. 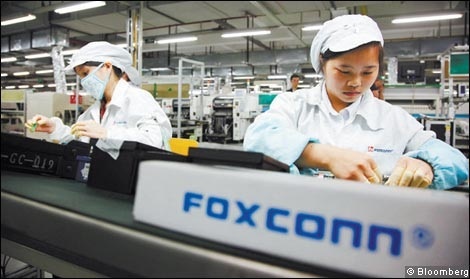 In order to address the worker issues at its plant, Foxconn has instituted substantial wage increases and transferred management of the sprawling dormitory complexes for workers at its Longhua plant, which has a staff of 300,000 workers, to independent companies. Foxconn has also announced plans to shift some of its production of Apple products away from the Longhua plant to new facilities in northern and central China.